Caffeine makes exercise more enjoyable and feel easier! Sometimes it can be hard to find the motivation to exercise, especially if a particularly grueling training session lies ahead! Wouldn’t it be great if there were a way to make the session feel less demanding without compromising on training intensity? Well, caffeine might just be the answer! In a recent study, healthy recreationally active volunteers completed 3 experimental trials. Two trials involved cycling on an ergometer 90 min after the intake of caffeine (2x 3 mg/kg-1) or a placebo. A resting (no cycling or caffeine) control trial was also completed. The intake of caffeine resulted in the exercise being perceived as less difficult and more enjoyable. Furthermore, more energy was expended and more fat oxidised (burnt) in the caffeine+exercise trial compared to the placebo+exercise trial. Two hours after exercise an ad libitum (eat as much as you like) meal was provided. Those on the caffeine were found to eat slightly less calories (and less fat) than those on the placebo. Not only may caffeine boost performance, but it may also make exercise feel more enjoyable and easier. Therefore if you struggle with the psychological demands of exercise then consider drinking a strong cup of your favourite tea or coffee (or a caffeine-contained pre-workout drink) 60-90 minutes before training. 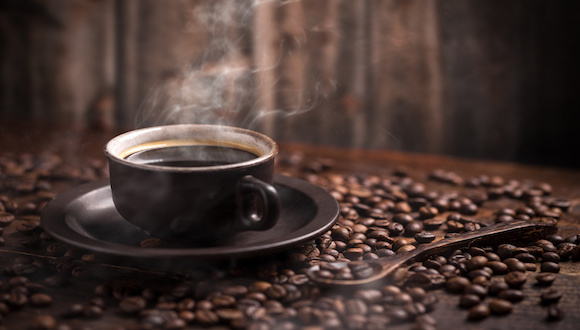 Caffeine may also have the added benefit of increasing the amount of calories burnt during and following exercise, and could therefore be advantageous for individuals on a weight loss diet.